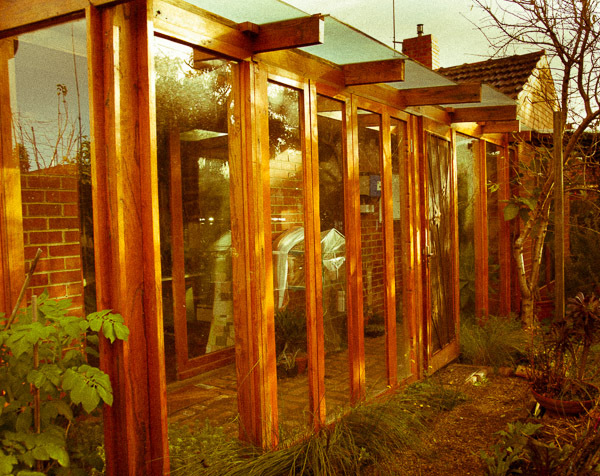 The greenhouse, was added to the north facing facade of our home to bring warmth to the living areas, the study and front bedroom. It does this beautifully and has alleviated the need to have a heater in our bedroom and study and diminished heating needs in the living area. In summer it opens right up and is vented at the very top. It works so very, very well that at our new home we will also build a greenhouse. Our Reservoir greenhouse is used to raise seedlings. It is paved with the same bricks that once created the front fence. 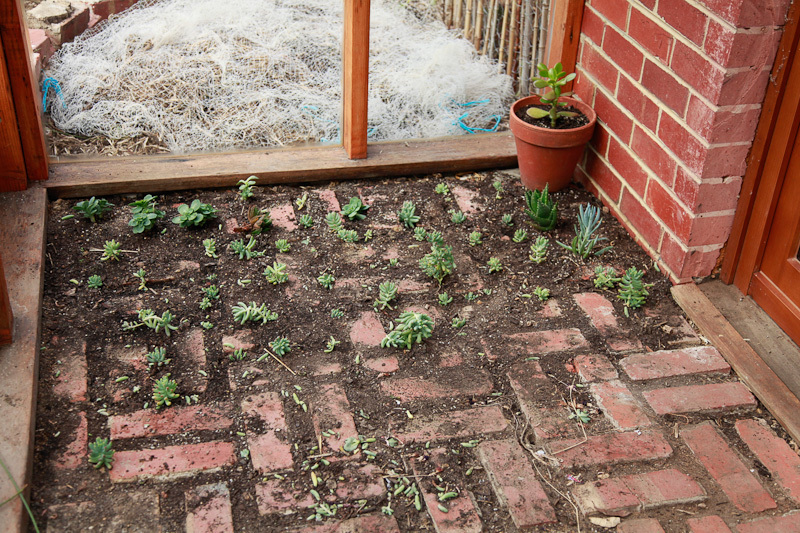 We arranged the bricks with gaps so that we could green the greenhouse with Thyme to create a greenhouse fragrant lawn. The thyme took off and then it died and so now I am trying out a bed of succulents and have planted Sedum pachyfyllum (Jelly Bean Plant) instead. 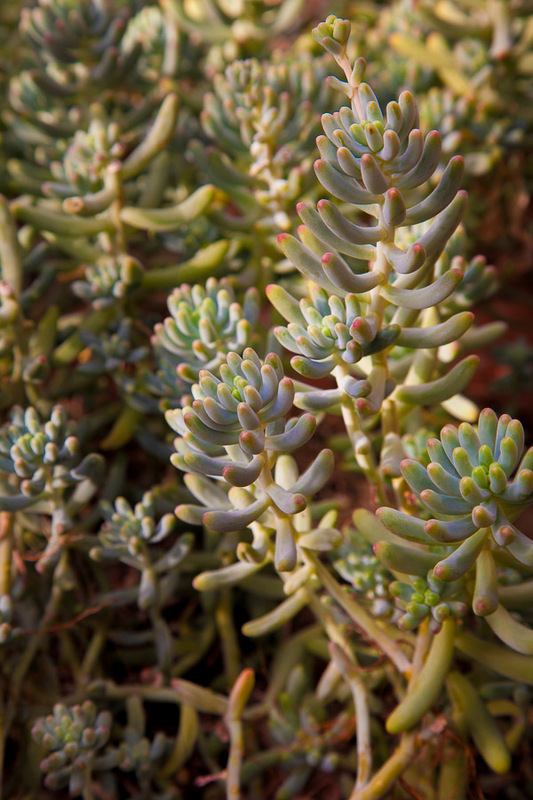 Sedum pachyfyllum is very drought resistant, ever green and produces lovely yellow flowers in summer. It is doing very well and I hope it will take over the greenhouse paving. 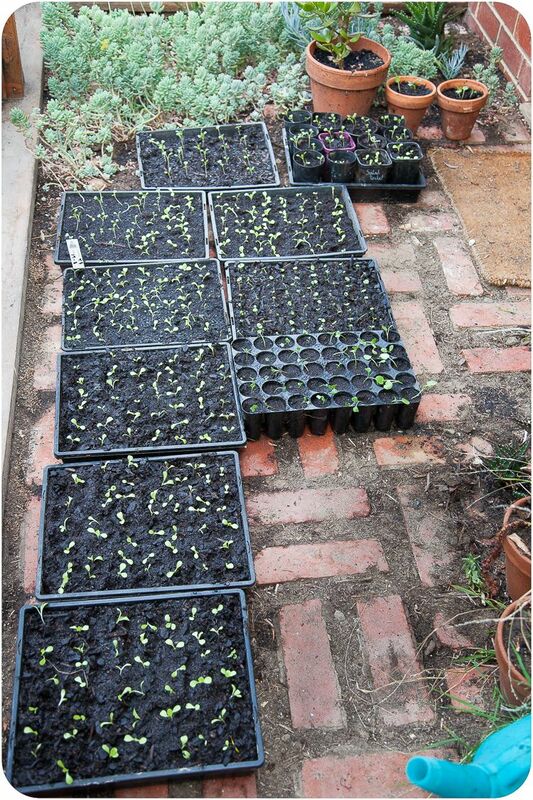 In addition to providing warmth the Greenhouse is of course an excellent place for seed growing and every sprinter, its floor is lined from end to end with summer vegetables. Greenhouse: view from the east. 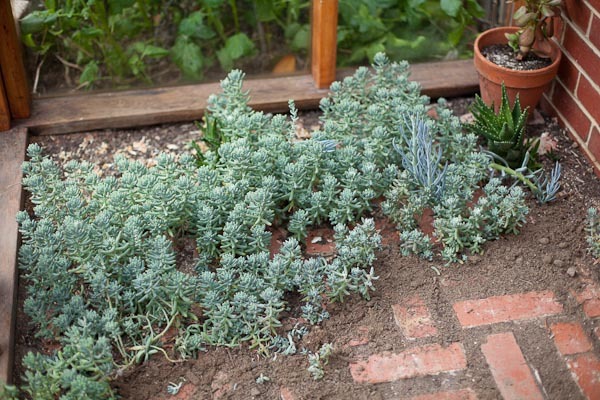 Growing Sedum between the greenhouse pavers. This pic was taken a year ago. The next picture shows how much it has grown since.